What can I send to Qatar? What items are restricted? On some occasions customs will request a c.40 QAR personal effects clearance fee is paid before your shipment can be delivered. 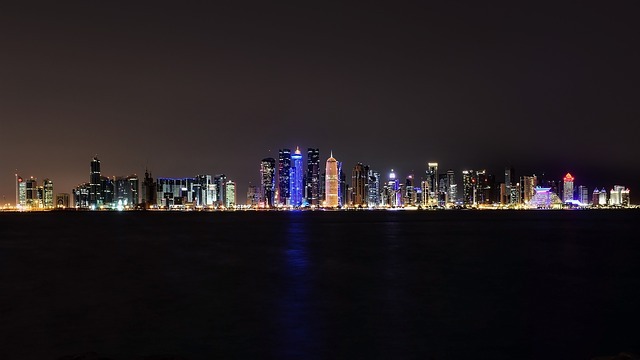 Qatar is the perfect place for a luxury holiday, for a quick trip doing a bit of shopping and some sunbathing, for a business trip, or even to emigrate to if you’re fed up of life back home. Known for its wealth and excellent shopping, you’re likely to end up with plenty of bags to take back home with you, packed full with all your purchases, in addition to everything else you brought across with you. Or perhaps you’re making a big move to Qatar and need to transport all your belongings there but are faced with huge baggage fees from your airline? Send My Bag is the answer to all these problems, and more. If you just want to travel without luggage, to save money or hassle on your trip, we can come to your home and pick up your luggage and deliver it to wherever you want in Qatar. If you’re staying in the capital city of Doha, or in a quieter resort along the sea front, if you are staying in your own holiday home or apartment, or if you have booked into a hotel, we can get your luggage there for you. Our service is more affordable than the excess baggage charges you get landed with at the airports nowadays and is super easy to use. If you are moving to Qatar to study, Send My Bag can send all the possessions you will need for your stay – books, writing materials, clothes and anything else that will make your student accommodation feel like home. If you are only going to Qatar on holiday or if you are staying there for longer, you can ship your luggage with Send My Bag. You can pack everything you need and have it picked up from home and delivered to your accommodation in Qatar. This means you can fully enjoy your journey to Qatar knowing that your luggage is being taken care of and without the fear of excess baggage fees. To learn more about sending luggage to Qatar, visit our ‘How it works’ page, or our ‘FAQs’. The highest ranking golf course in Qatar is Doha Golf Club. You can try out this course while in Qatar using your own golf clubs if you ship them to Qatar with Send My Bag. On top of being able to use equipment that you are comfortable with, you can also avoid waiting around at bag drop or luggage carousels, or having to carry large golf bags onto public transport. See more information on how to send golf clubs with Send My Bag, including how to best package your golf clubs. The flat terrain of Qatar makes it a good cycling destination. There is no need to rent a bike, however. Instead, you can send your bike to Qatar with Send My Bag. Why not explore Qatar by bike by sending your bike to your first hotel and having it collected from your final accommodation. Your bike needs to be taken apart and safely packaged up before being sent to Qatar. Check out our information on bike shipping to learn more. If you are moving to Qatar you will have to think about international removals to Qatar in order to move your possessions, too. Choose a reputable removal company and make sure that you package up all your items carefully so that they arrive in one piece. Use suitable packaging for your items and tape everything up well. If you have chosen to study at one of Qatar’s higher or further education institutions, such as Qatar University, you can use Send My Bag to ship your belongings to your student accommodation each term, and back home again. This will allow you to bring enough of your possessions to make your student accommodation feel homely. Read more about student shipping on our student page and find out how to receive your student discount. It’s just as easy to send a parcel to Qatar as to send your luggage. Sending parcels is a great idea, especially if you need to send a smaller number of items. You can ask a friend or family member to send things to Qatar for you, or they could even use the service to send you gifts or care packages. When sending a parcel to Qatar make sure you pick a sturdy box and seal it up well so nothing gets damaged in transit. Read more about sending a parcel and find out what you can send with Send My Bag and how to package your items. If you have items ? like a chest of drawers or a dresser ? that you need to send to Qatar, you could try air freight. You should normally allow one or two days for items to be flown to your destination. The service is quite quick, but it can be quite expensive, especially as you will likely have to pay for a customs agent to sort customs clearance for you. A further cost to consider is getting your items to and from the airport, which means the price of using air freight could quickly mount up. If you send internationally by air freight to Qatar your items will likely arrive at Doha International Airport. You can try sea freight or container shipping to ship large bulky items like a bed. Sea freight shipping can take a several weeks, but it’s usually a more cost-effective option, good for those who don’t need their items immediately. Keep in mind that you will still need to pay for the services of a customs agent and will need to organise transport for your items to and from the ports. When using container shipping to Qatar, your items will most likely arrive by ship at the Port of Doha. Customers are currently limited to a maximum declared value of $700 USD / £425 / 615€ / $960 AUD for shipments entering Qatar in order to avoid delays with customs clearance and additional duty and taxes. All printed materials (books, CDs, DVDs, and computer software) are subject to censorship, and must be packed together in an easily accessible location in the consignment. Items deemed inappropriate will be confiscated and fines levied on the importer. Sending personal effects only with Send My Bag is usually no problem, since most countries allow a good amount of personal items to cross their borders duty free. This means the majority of Send My Bag shipments are not stopped by customs. Personal effects are normally considered to be used items that have been in the sender’s possession for 6 months or more. So that customs officials know that your shipment is personal effects only, you must create a short non-generic packing list online, to be completed as follows: "2 x Linen Jacket, 3 x Pairs of Leather Shoes, 5 x Pairs of Socks", etc., rather than as "10 x Used Clothing". If brand new or commercial items are found in your shipment by Qatari customs, your shipment may be assessed for customs duties and taxes. If you are sending Christmas or birthday gifts to Qatar, please check with Qatari customs so you are aware of any customs duties that need to be paid, heed any advice given and provide all documentation required of you. Because all customs processes and allowances are different, depending on the country, we advise travellers to take 5 minutes to see how their own circumstances and what they are sending will be viewed under current Qatari customs regulations. Items offensive to Muslim culture. The climate in Qatar is subtropical with much of the country dry and desert-like. Summer temperatures between June and September can easily soar above 40°C and there is very little rainfall. The country is frequently buffered by the Shamal ‒ a hot, dusty wind that causes sandstorms. The coast is usually cooler, with a more pleasant breeze. As one of the world’s richest countries, the wealthy flock to Qatar to see the sights and to be seen. Shopping is a popular past time for residents and tourists in the capital city, Doha, whether they are hitting up the sparkling new super malls or exploring the Souk markets and winding streets of the traditional old town. Many tour companies in Qatar will offer trips to the “Inland Sea”, which means a day out exploring the rolling waves of the sand dunes in the south of the country. This can be as extreme and fast or bumpy as you like, so thrill seekers and families alike will enjoy this experience. There are also numerous beaches around the peninsula where you can spend a day or two on a more relaxing trip. You may welcome the opportunity to spend some time inside, away from the blazing sun, however. Qatar has many attractions that will allow you to do so, including a range of museums, mosques and cultural centres to explore.